Christy hails from ranching communities in west central South Dakota and northeastern Wyoming. During high school she was involved in the horse racing industry in Wyoming, Utah, and New Mexico. She completed a bachelors degree in Zoology from the University of Wyoming, and spent a year working as a veterinary assistant at racetracks in New Mexico. Christy attended Colorado State University College of Veterinary Medicine and Biomedical Sciences receiving her DVM in 2001. Immediately out of vet school, she worked as a veterinarian at Ruidoso Downs in New Mexico for a summer then returned to Colorado for employment with Dr. Mark Fitch. She continued this employment until the beginning of 2010 when she became owner of the practice and blessed with the continued working relationship with Dr Fitch. ​Outside of work, Christy enjoys supporting her husband in team roping, attending activities of her children Clay and Sydney, and entertaining activities to keep fit. Mark grew up on a cattle ranch outside of Gillette, WY where his passion for horses budded. He participated in 4-H and rodeo throughout his childhood, before attending the University of Wyoming. Mark continued to rodeo, while earning a degree in veterinary sciences. He then attended Colorado State University College of Veterinary Medicine and Biomedical Sciences and graduated in 1976. Following graduation, Mark completed an internship at Littleton Large Animal Hospital in 1977, and setup his practice in Boulder County that same year. 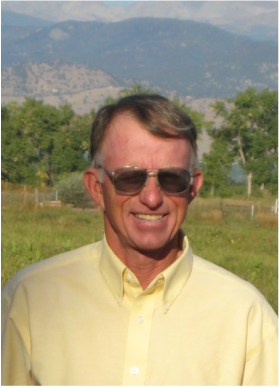 For the last 40 years, Mark has been practicing equine veterinary medicine in the Boulder County region, and continues to enjoy serving the horse community. His dedication to the profession is exemplified through his commitment to mentoring aspiring veterinarians and horse-lovers alike. His professional interests include dentistry, lameness and behavioral counseling. Mark presents at many veterinary functions on horse behavior and handling for the equine practitioner and horse owners as well. His spare time is filled with training horses, team roping and spending time with his daughter, Lyndsey. Tom was born and raised in Lander, WY on a small cow-calf ranch. He grew to appreciate working with horses from a young age, as his parents were involved with rodeo and eventing. He attended St. Michael’s College outside of Burlington, VT earning a bachelor’s degree in history. Tom then moved to Boulder after his undergraduate studies to complete the prerequisite coursework for veterinary school. 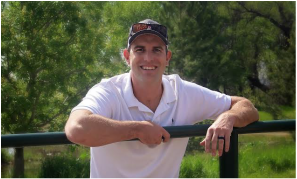 He attended Colorado State University where he completed a master’s degree in agriculture in 2012 and earned his veterinary degree in 2016, also at CSU. He began working for QEVS as an assistant in the spring of 2009, and is very excited to be returning as a veterinarian. ​His professional interests include equine emergency medicine, sports medicine and rehabilitation. ​Tom and his wife, Kim, enjoy spoiling their adorable children, Natalie and Boden, and love spending time with family.